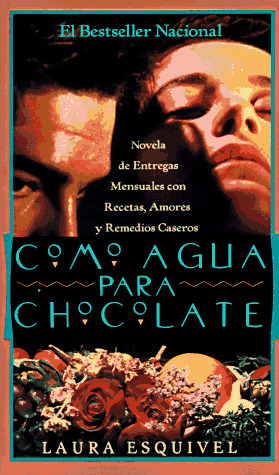 The Spanish language edition of the best-selling Like Water For Chocolate is a remarkable success in its own right. Now, in this mass market edition, thousands of new readers will be able to partake in the sumptuous, romantic, and hilarious tale of Tita, the terrific cook with an extra special something in her sauce. "A delightful first novel... the fragrant story makes you dream of love and want your supper too." --Glamour. "A mystical Mexican love story... [that] will charm the palate and the heart." -- USA Today. "A tall-tale, fairy-tale, soap-opera and home-remedy handbook all rolled into one." -- San Francisco Chronicle. Laura Esquivel is the award-winning author of Like Water for Chocolate, which has sold more than four and a half million copies around the world in 35 languages, as well as The Law of Love, and most recently, Between Two Fires. She lives in Mexico City.